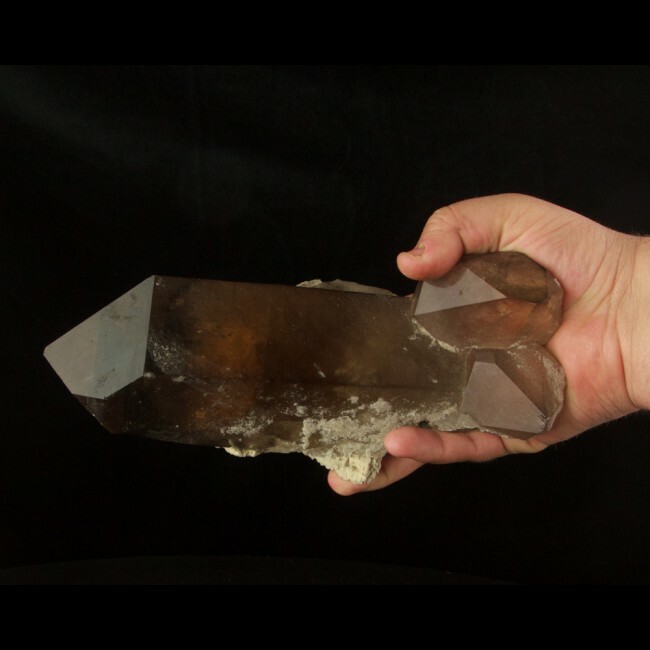 Size 10.8" x 4.9" x 3.9"
The Jairo Mine in Resplendor, Doce Valley, Minas Gerais, Brazil produces some very choice, smoky golden PHANTOM CITRINE QUARTZ crystals. 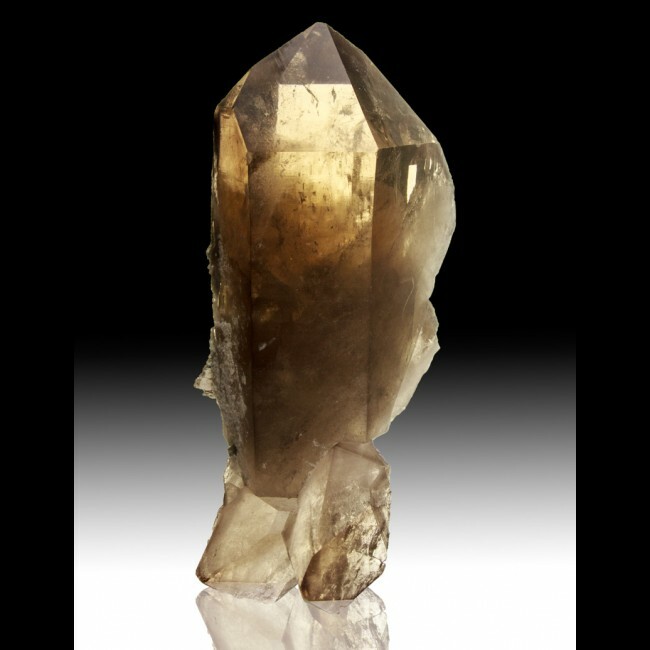 This one came out of a pocket opened during the 2013 mining season, a pocket which produced some exceptionally fine citrine speicmens. I acquired this aesthetic crystal from a Brazilian wholesale dealer at the Tucvson Gem, Rock & Mineral Show.